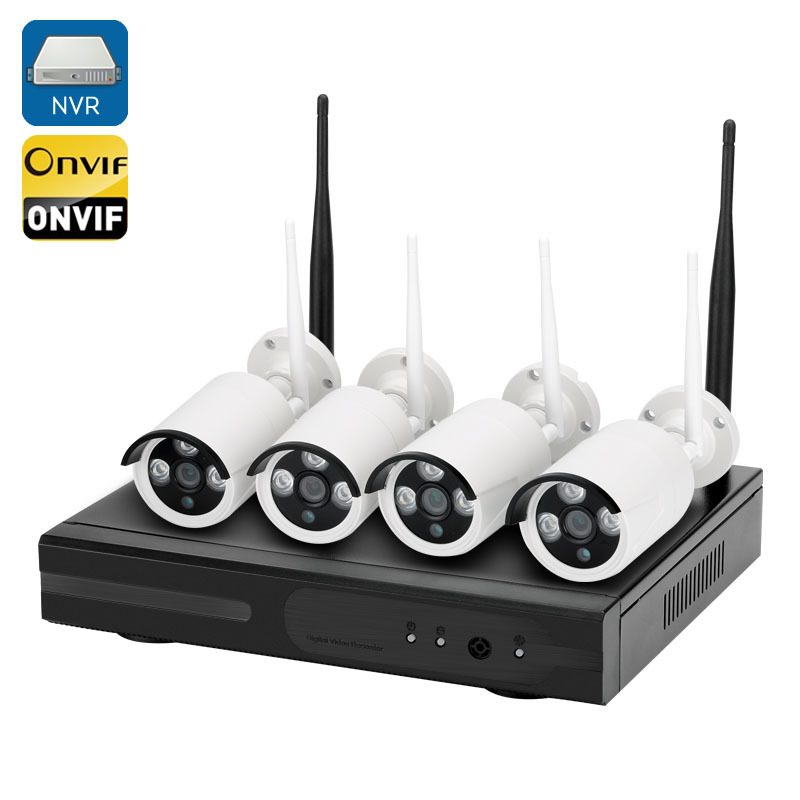 Successfully Added Wireless NVR Kit - 4 HD Cameras, 15 Meter Night Vision, Motion Detection, Android and iOS support, IP66, ONVIF 2.0 to your Shopping Cart. Protect your home, office or other property with an all-comprising comprehensive security system coming with 4 HD cameras ready for use indoors or out, 15-meter night vision, motion detection, iOS and Android system support and more. This compact and ready-to-use wireless NVR kit is everything you need to keep an eye on your property while you are away. The kit comes with 4 HD cameras, 4- channel video output and comes with everything you need for a quick hassle-free installation. With no cables required, you will have complete freedom when placing the cameras letting you cover any areas that need monitoring. With 720P resolution, each camera will give you a clear view of the monitored area and, thanks to H.264 compression, you will have more storage space without compromising video quality. With motion detection support, you will be able to select 4 detection areas and be instantly alerted should any suspicious activity be detected. Once the motion detection sensor is triggered, you will receive an email with a snapshot of the intruder. The cameras are IP66 waterproof rated and can be freely used outdoors. With 15-meter night vision, you will get a clear picture of the outdoors even after dark. The security system is compatible with both Android and iOS platforms and all you need to do is download the dedicated app - Eseecloud. The system supports 4 online users at the same time. 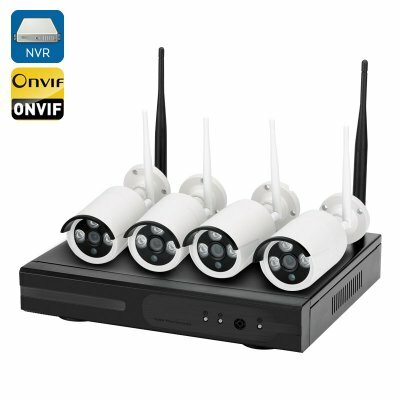 With ONVIF 2.0 compatibility, this wireless NVR kit can be an extension to your existing security system or work independently. The Wireless NVR Kit comes with a 12 months warranty, brought to you by the leader in electronic devices as well as wholesale wireless NVR kits and security cameras..